April 2019 – Spring is finally here…sort of…. 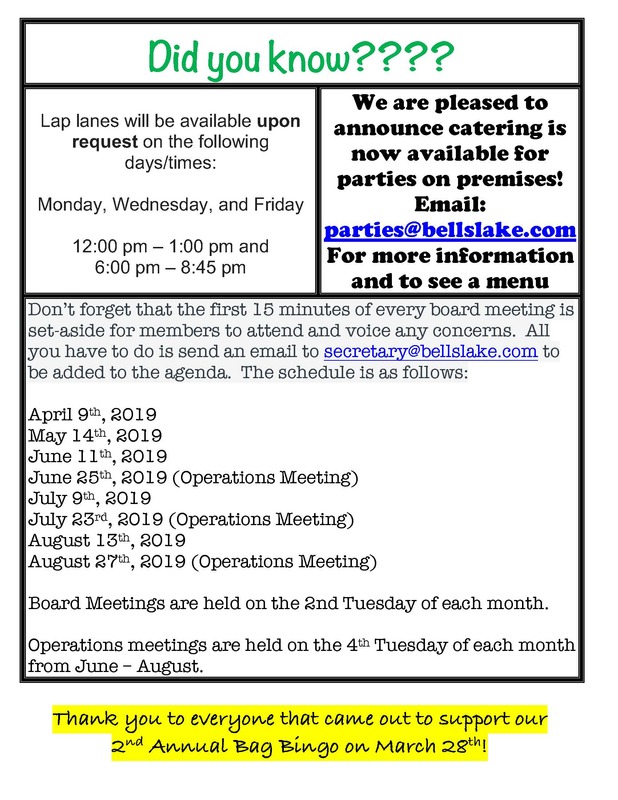 Hello Bells Lake family and friends!! Believe it or not, we are less than two months away from opening!!! We are thrilled to have back Jimmy Perry and Nicole Hoopes as Assistant Managers. 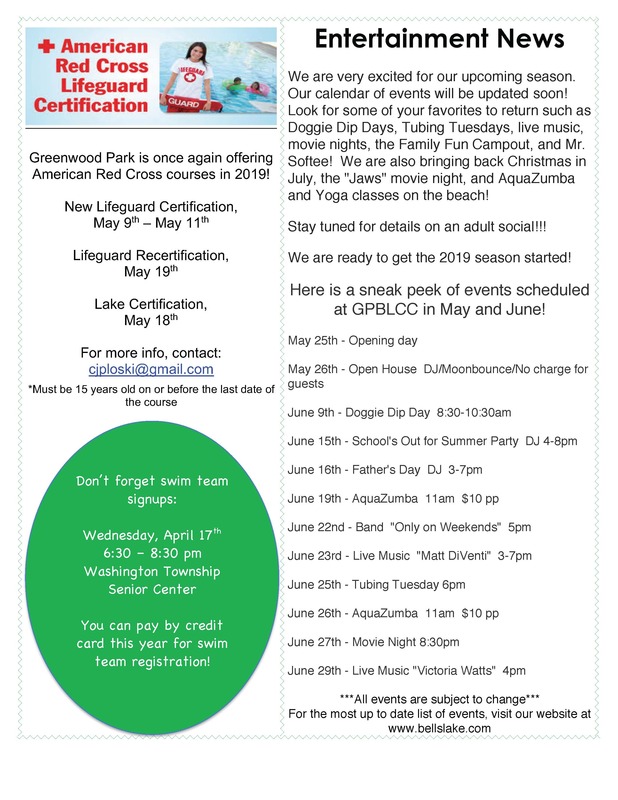 We also have our incredible staff of lifeguards, gatekeepers, and swim lesson instructors that cannot wait to spend their summer season with you. I look forward to seeing you all Memorial Day Weekend and throughout the entire summer! Hey kids, check out the new bands for passing the swim test above. Pretty cool! Stay tuned for details! Only 52 days until Memorial Day! • rakes, shovels, large contractor bags, etc. We have most equipment on site. There will be people in an out all day, so please feel free to stop by and lend a helping hand. We greatly appreciate any help you may give. Please contact Paul Kudless at (856) 264-6239 if you have any questions. 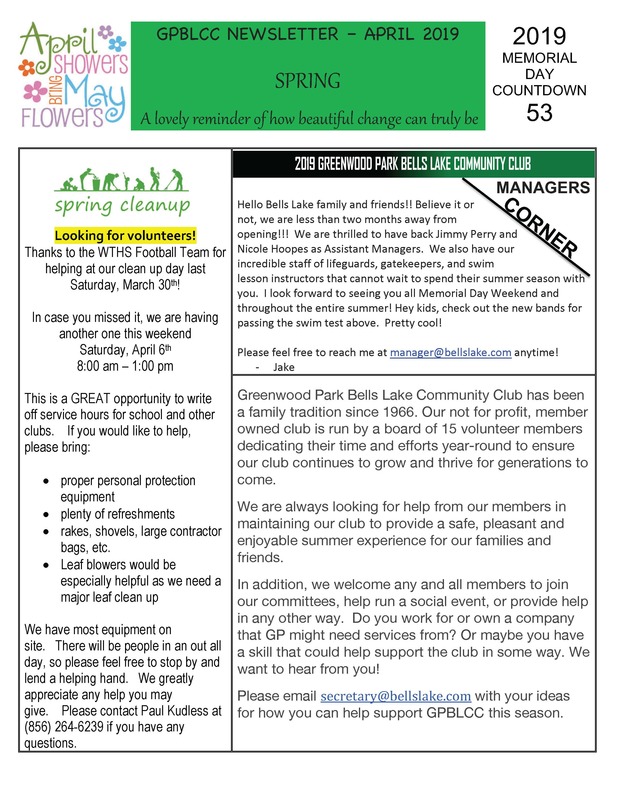 CLICK HERE OR SEE BELOW FOR MORE INFORMATION IN OUR 2019 APRIL NEWSLETTER!